If you have ever taken a piano lesson you probably heard the statement practice makes perfect. I had a 9th grade basketball coach who disagreed. He used to say, “Practice doesn’t make perfect, practice makes permanent.” Practice anything the wrong way long enough and before long it will seem only natural to do it the wrong way. This is really evident when it comes to our propensity to sin, and our spiritual battle to do the right thing. If you struggle with anger, the flare of your temper feels right when you have been wronged. It seems the natural thing to do. The truth is, you’ve practiced it that way for so long, that it feels like the only response you have available. If you struggle with self-pity your perception feels permanent. Rejoicing in the Lord seems a million miles away. But God’s Word is all about hope and change (Rom. 6:5-7). The Lord desires to set you free from those enslaving sinful habits. For I am the least of the apostles, unworthy to be called an apostle, because I persecuted the church of God. But by the grace of God I am what I am, and his grace toward me was not in vain. On the contrary, I worked harder than any of them, though it was not I, but the grace of God that is with me (1 Cor. 15:9-10). With a dependence on God’s grace, Paul began to work, and work hard. The word work can be translated labor, toil, work, or weary. Sounds like my high-school basketball practice. While Paul acknowledges this to be “by the grace of God,” he chose to actively participate in the process. He practiced. 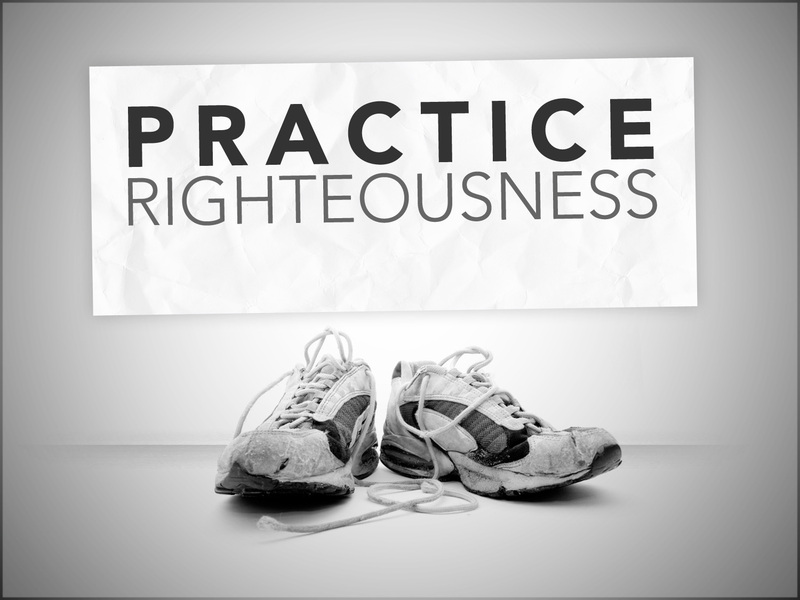 Practice these things, immerse yourself in them, so that all may see your progress (1 Tim. 4:15). Practice, you see, makes permanent. Do the wrong things long enough and it will feel like you can’t change. But do the right thing, in the right way, for the right reason, for a while, and there will be progress that even others can see. This entry was posted in Christian Living and tagged grace, labor, practice, practice makes perfect, work. I’ve been given another apologetic version of that expression, “PERFECT practice makes perfect,” which I think emphasizes the same Biblical conclusion you’ve drawn. In order to live a life that is Christ-centered, we can’t be passive, but active, putting to death what is earthly in us and instead putting on righteousness (Colossians 3).